I searched the forum but it seems like its not talked about much, or my search skills are garbage (which is highly likely). I ran Stoptech pads in the past based on a forum thread I was in but now its time for new pads and rotors and was curious what you all ran. I don't track or autocros.. just daily drive. 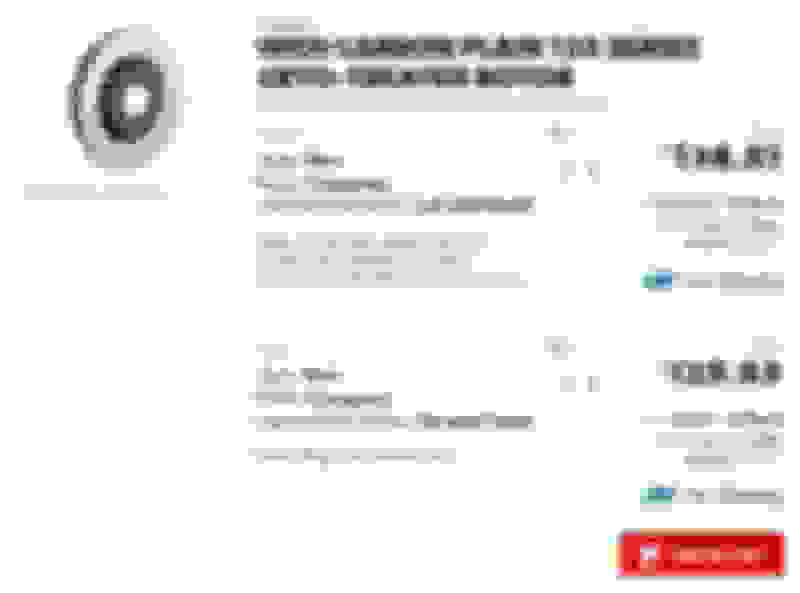 I was going to try something off of Tirerack.com but was going to see what others suggested. I was even going to go to the dealer and ask about stock pads and rotors but feel like it will just be the usual dealer mark up. Any suggestions appreciated. Thanks guys. I actually ran the stoptech streets last time. I thought since I was street only it was better. Looks like the Sports are what I should have ran? Considerably better? Sorry! 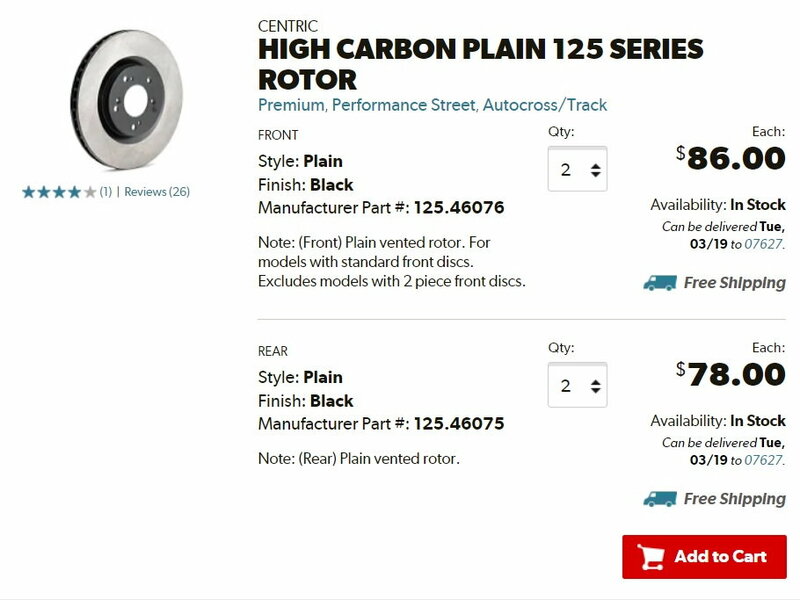 Which Centric rotors do you recommend? The Black or the Cryogenic? No clue what the difference is. Last edited by CaptainCrunch; Mar 17, 2019 at 07:24 PM. I run the Sports on my EvO (street duty only now) & even on my Scion DD. Running stock right now but when the time comes I’ll be trying out dba 4000 rotors and fedoro ds2500 brake pads. Awesome info on the pads, thank you! 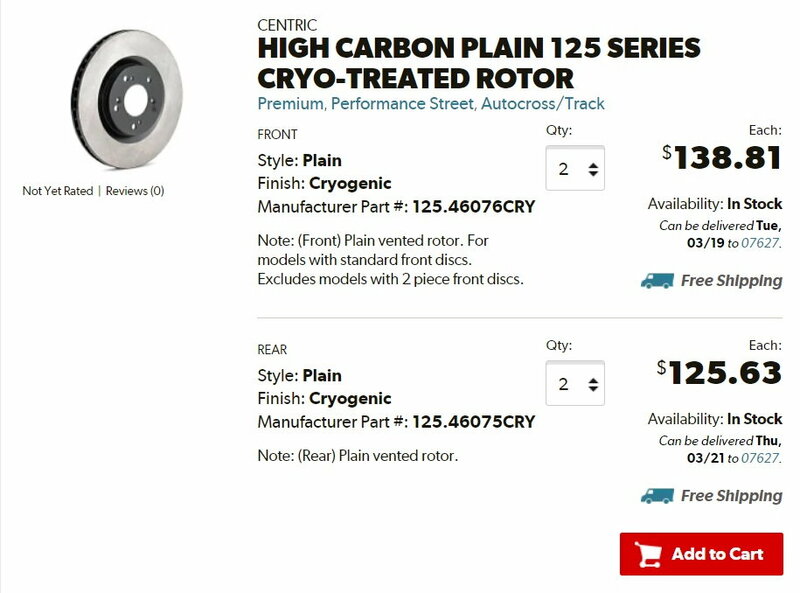 As far as the rotors, both the "black" and "cryogenic" are called "High Carbon Plain 125". I should go with the blacks? Just daily driving. I hope you post how they are. Always interested in hearing about other options. Slotted do look nice. I bought the StopTechs many many years ago and was very unimpressed with their performance. Have they improved over the years? How is brake fade on extended sessions(steep downhill runs at speed)? How is the noise and pedal feel? I'm also in the market for new pads but I just can't justify the higher cost for the Ferrodos everyone keeps recommending. I think I'll give the EBCs a shot first, then try out the Ferodos. If anyone knows where to get the DS2500s at a good price please let me know. In the past I've run Hawk DTC-50s and DTC-30s in the rear but the car is no longer a dedicated track car so I want something more versatile that won't make my ears bleed on the street. To answer the OP, I'm currently running some PowerStop Track Day pads with DBA "kangaroo paw" rotors. I'm pretty happy with them overall, not much noise, if any, and resist fade quite well. Definitely a street oriented pad meant to have the ability to sustain light duty track use. They're coming up to the end of their life, and I want to keep experimenting with pads, but for the price I may just get another set. Previous to that I ran Pagids, but they're hard to get, expensive as ****, and noisy as all hell. I keep them around for my next track day so I can give them another go on some hot laps, but definitely not for street driving. At all. The blacks will be fine for your application. The cryogenic is an additional treatment to the rotors and unnecessary for your purposes. For sure get the E-coated blacks. The hat is coated on both sides & the top of the vanes. No coating will last, too long, if subjected to high heat & wet weather over time. Running R1 Cryo treated slotted rotors. Front pads are Performance Friction ceramicmetallic pads and rear are stoptech sport pads. The PF pads have great pedal feel and minimal dust. Awesome! Thank you both. Black rotors it is! Centric blank Rotors with black finish and EBC reds. Zero Squeal and noise after break in. Great initial and cold bite. I really like this combo as a DD setup.